The first international 5A class office building in Yangon. Modern design concepts, luxurious and fashionable decoration & styles. International-standardized commercial facilities; property management services of 5-star hotel criteria surpassing infrastructure & facility criteria. Building Office Automation, Communication, Automation, Security Automation and Fire Automation shall ensure the highest standard of the facilities and safety. Built by Myint & Associates Company Ltd, Vantage Tower is setting the new benchmark for premium office space in Yangon, re-shaping the city’s skyline and re-defining the boundaries of doing business in Myanmar. Yangon’s new business landmark embodies levels of sophistication, high-end design and technical specifications never seen before in the country. Arcc Offices is located at Hledan Centre, a high quality integrated development with several retail, hospitality and F&B options nearby. It is located along the main arterial road, Pyay Road which is a direct link from Yangon downtown to Yangon International Airport – this makes commuting an ease for businesses that need to head to the city or require global access via the airport. 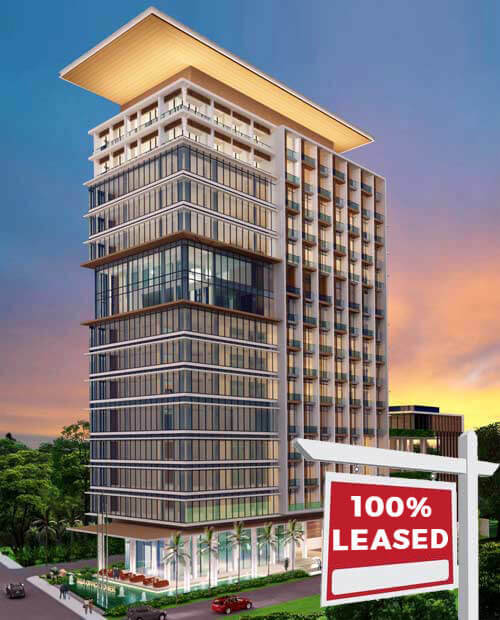 The development is also located near to embassies and many other key commercial areas which make it the focal point which offers businesses great connectivity to other parts of Yangon. There are also several international F&B, retail outlets and a supermarket within Hledan Centre which provides greater convenience for all tenants located within the development. Myanmar Centre is a spectacular new HAGL mixed-use development being developed by Hoang Anh Gia Lai. Consisting of Grade A office space, a retail mall, five star hotel and serviced apartments, Lake Suites will be the residential development of this unparalleled project. Lake Suites is being presented to you by the HAGL appointed Lead Agent, Slade Property Services (Myanmar). SPS Myanmar has been chosen as Lead Agent for its vast local knowledge and experience as well as its extensive global reach and international expertise.